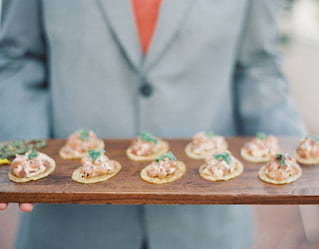 Boasting enviable views out across the Pacific, our timeless Santa Barbara venues will leave a lasting impression. Coordinate a professional lunch or cocktail party on the terrace, take wedding vows beside our peaceful lily pond or host a winter gathering in the hotel’s cozy wine room. Whatever the occasion, we’ll make it extraordinary. 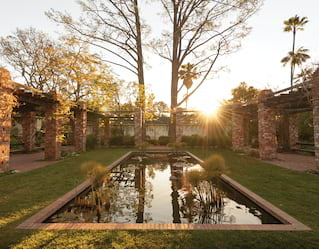 Frequented by butterflies and other wildlife, the Arbor and Lily Ponds provide a serene escape for beautiful weddings or corporate events with a fairytale finish. One of the best wedding venues in southern California, the Ballroom offers 3,000 square feet of sun-drenched style. Glass doors open onto a covered heated patio. Host welcome cocktails in the reception area, then spread out into two adjoining rooms. Gather on the expansive terrace during golden hour with friends or colleagues, cocktail in hand. 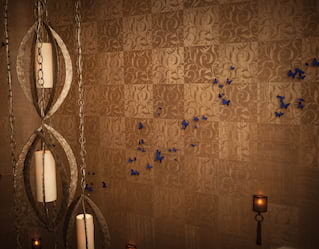 Or head into adjoining rooms to enjoy a grand banquet, reception or conference in the sophisticated interiors. Enjoy stunning ocean, garden and city views. 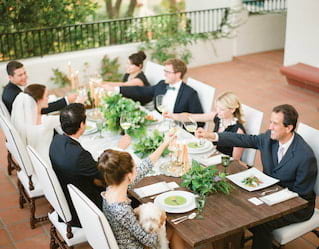 During the cooler months, host a spectacular event in the toastiest of hillside locations. Guests can curl up in front of the roaring fireplace on stylish, plush seating. Head out onto the pool patio for a moonlit stroll to see the Channel Islands flickering on the horizon. The perfect place to gather in any season, this light, airy space features the latest audiovisual equipment to ensure your presentations have an impact. 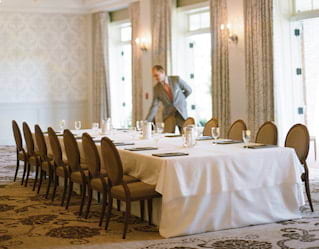 The room comfortably accommodates small groups for intimate gatherings, business lunches or conferences. 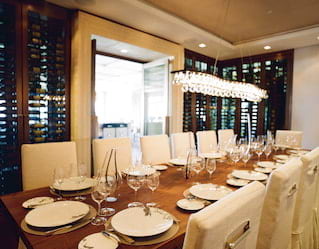 Located in the hotel’s dining room, our chic wine room is an atmospheric choice for intimate celebrations or private parties. Speak to our expert team to arrange a bespoke introduction for guests, followed by a tasting of the room’s best bottles.